How to Design-Decorate a Kid’s Bedroom! Creating a kid’s bedroom can be daunting task. There are so many decorating options to choose from on the market. To assist you in the process we have come up with a few amazing decorating ideas, which are simple and easy to implement. When it comes to designing a kids bedroom it’s important to infuse lots of color and creativity into the mix! 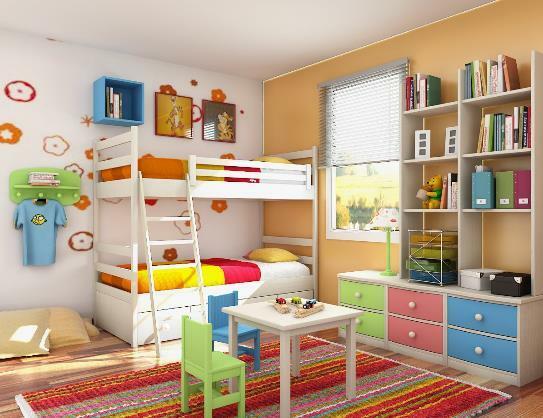 Colors define a child’s personality and it is a good idea to play with different colors while designing their room. For small babies, “blues” for boys and “pinks” for girls are the most common, but if your child is a bit older, opt for a bolder brighter color palette like golds, purples, and “seafoam” green. Additionally, you can use themes, murals, or painted stripes to make the room more inviting for kids. Allow the personalities of kids to shine with great and bright artwork - and let them pick it out! Add soft toys or frames with pictures of their favorite toys or cartoon characters. For instilling some adventure in your kids room, try using world maps as wallpaper. If your kid is a budding artist, use their paintings and carefully add these to the walls. Keep updating the wall by changing the drawings and allow your child to be motivated! Kids love toys and adding them to their room will increase their excitement about their new room! You can collect different kinds of toys ranging from vintage and contemporary toys to their favorite superhero toys. Match the color of the paint and wallpapers accordingly and add stylish shelves to the wall. Don’t forget to add shelves for displaying your child’s favorite possessions! Open shelves of different sizes, cubby format, and locations will allow the child to display different items over time. While the overall design and theme of the room is important, it is equally important to consider functionality when creating your child’s bedroom. 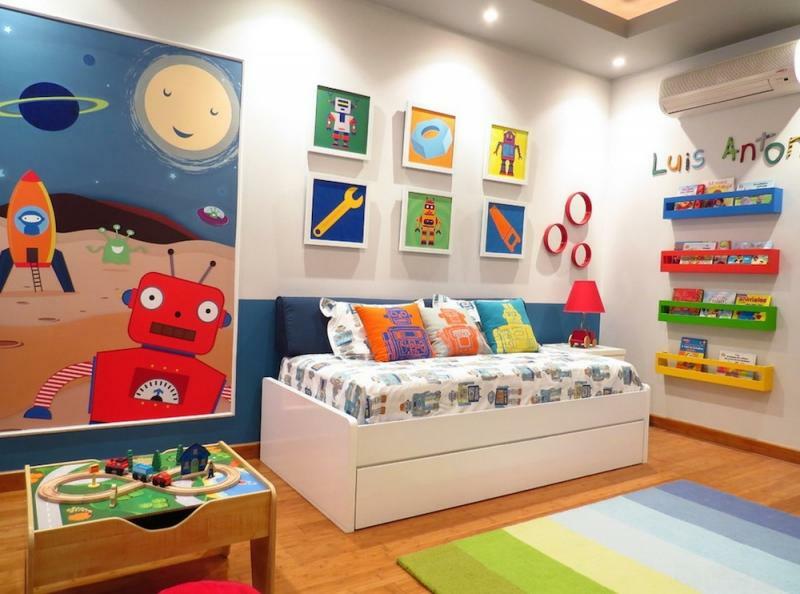 Here are some design elements you can infuse into your child’s bedroom for great design and functionality. A quiet space - or cozy corner - with a light. While your child may not read yet, every child needs a little down time for quiet play. A sizeable storage unit or trunk for their personal items and shoes - and to help them “clean” their room. Built in closet organization that allows for multiple cubbies for backpacks, books, and toys is another option for keeping your child’s room well designed and organized. Adding carpet to the room allows for a soft area and designated space your child can use while playing, or reading.